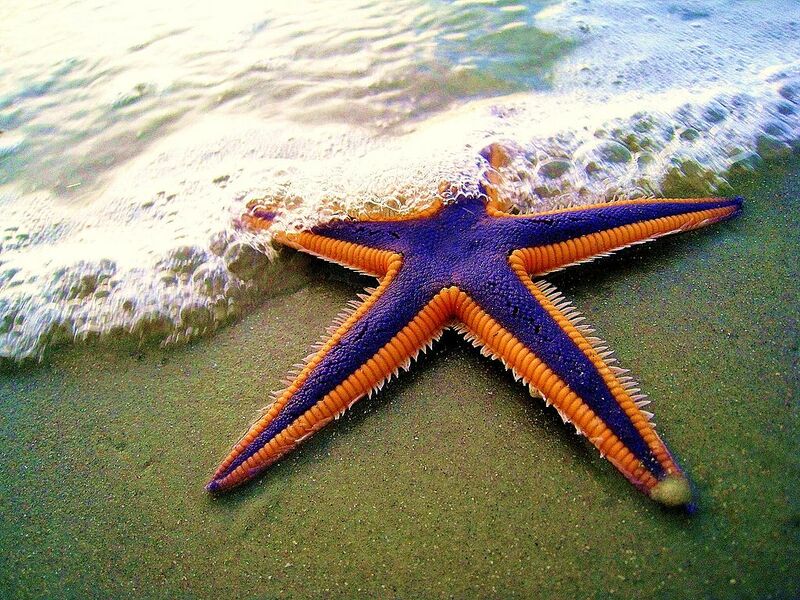 While Ebola wreaks havoc on Homo sapiens in the terrestrial world, there has been an even more virulent disease causing the destruction of a marine animal, the sea star. Today we talk about this deadly condition impacting sea star populations and the recent discovery of just what is causing this affliction. Royal starfish (Astropecten articulatus) on the beach.